Has anyone tried washing BBS tshirt? I have a feeling they will easily lose shape in the washing machine. 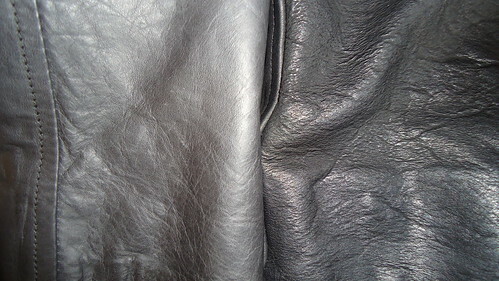 There have been questions and opinions on RO oiled leathers in other threads, so I'll just post SS (10 or 11, not sure) and AW09 (Crust) side by side. 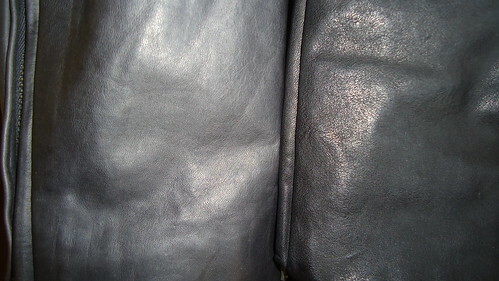 Area is near the cuff, wrinkled and smooth side, AW has been worn a lot, SS much less so. In short: they're both amazing. Hand wash in a sink with a small amount of detergent. Minimal friction. Don't wash these in a washing machine. Someone post the Lanvin show, PLEASE!!! Running out of the house.